Hello world! My name is Erica, and I am a second year pursuing my PhD in chemistry. I spend my grad school days making clay. Yup, that’s right, clay. According to Merriam-Webster clay is an earthy material that is plastic when moist but hard when fired. It is composed mainly of fine particles of hydrous aluminum silicates and other minerals, and is used for brick, tile, and pottery. When described like this it probably doesn’t sound special, but I believe clay has the power to change civilization, redefine sustainability, and revolutionize industry. Let me explain. 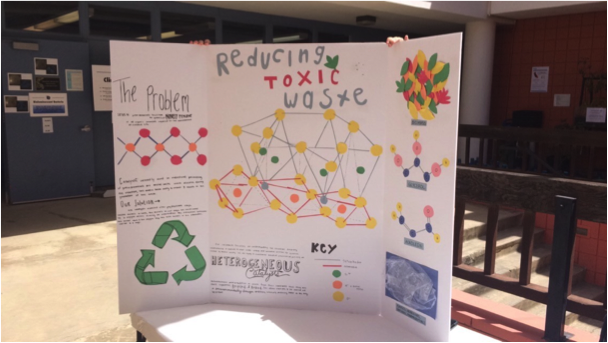 With the imminent decline of fossil fuels and the continued threat of irreversible climate change, the quest to find sustainable methods to power the planet and produce the chemicals required for civilized life is more important than ever. This need can be highlighted by the fact that currently only seven petrochemicals facilitate the synthesis of 90% of all organic chemicals. These are the chemicals that make the plastic for our computer keys, the detergent to wash our clothes, even the insulation in our homes. From Aspirin to Ziploc, petrochemicals are intricately involved in every aspect of our world. The problem? The problem lies in tradition. Traditional chemical processing is wasteful; it relies on expensive heavy metals, which go on to generate vast amounts of toxic waste. Because of this, there is an urgent need to develop green systems for performing these reactions at the industrial level. It is my goal to create these systems. For generations’ scientists have been trying to make greener catalysts for industrial scale reactions, often making synthetic minerals modeled on those found in nature. However, these often fail; either because they are too hard to make or because they don’t work as we thought they would. But after all this time you have to wonder: maybe we should stop trying out outsmart nature. As Einstein said, ‘we cannot solve our problems using the same thinking we used when we created them’. This is where clay comes in. Examples of cobalt containing clays. They shift in color from blue to pink as the percentage of cobalt decreases. See, clay already possesses a sophisticated framework capable of containing heavy metals, most often the same heavy metals used in petrochemical processing. The most abundant example of this, and the main focus of my research, are phyllosilicate clays. Phyllosilicate clays form discrete sheets of metals coordinated by oxygen, and these layer together to form a unique structure. This is remarkable because it allows the metals to catalyze organic chemicals without leaving the structure of the clay, which means at the end of the reaction the clay can simply be separated from the organic and used again, without generating any waste. Throughout this summer as a Wrigley Institute Sonosky Fellow I, with the help of a dedicated REU student, synthesized over 20 clay catalysts. Currently, we are continuing work to determine how many reactions these catalysts can perform. 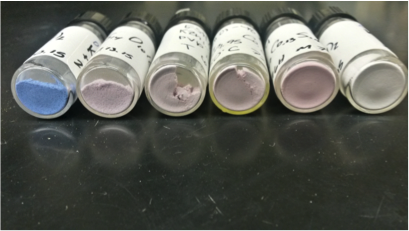 Preliminary results have been promising, even more so because we have discovered these materials may also act as electrodes for use in developing more durable, cost efficient and environmentally friendly batteries. Presentation from the Wrigley Institute’s 50th Anniversary event showing the intricate structure of phyllosilicate clays. This research will be continued throughout the course of my PhD. My hope is that clay will provide the breakthrough necessary to not only ensure a more sustainable future, but also revolutionize our discussion of environmental science, enabling researchers to ask not only “how will we power our planet for the future?” but to improve the question into “how can we do it better?”. 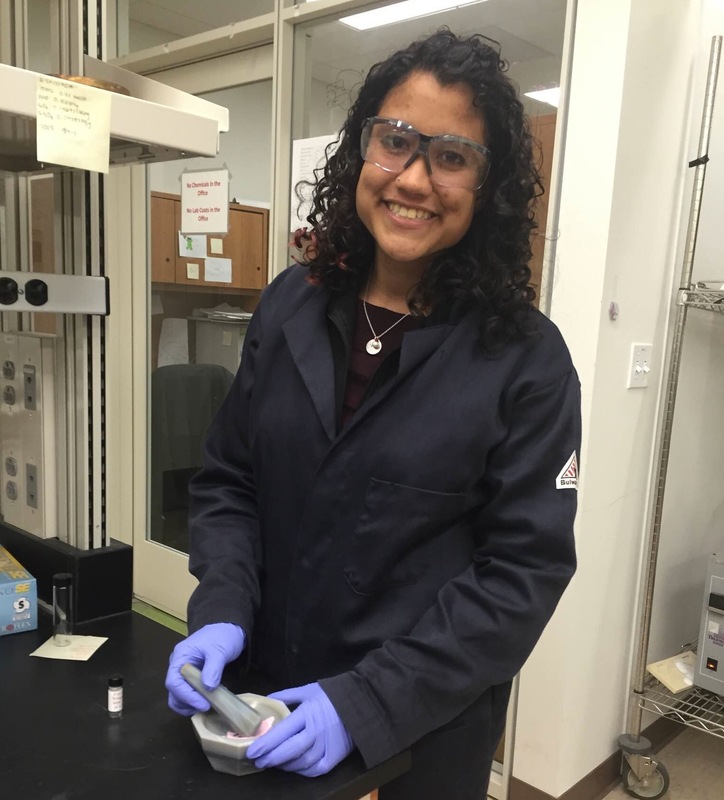 Erica was a 2015 Norma and Jerol Sonosky Summer Fellow, and is a PhD student working with Dr. Brent Melot in the USC Department of Chemistry, creating ‘clean technology’ catalysts for industrial chemical production. This entry was posted in Graduate, Wrigley Institute on October 20, 2015 by Jessica Dutton.